Alexandra Shipp says fans of the comics won’t be disappointed by the upcoming X-Men movie X-Men: Dark Phoenix. 26-year-old Alexandra Shipp, who plays the weather controlling superhero Ororo Monroe / Storm in X-Men: Apocalypse (2016) did an interview with Deadline about her role as McKayla in the Tyler MacIntyre’s horror-comedy Tragedy Girls. 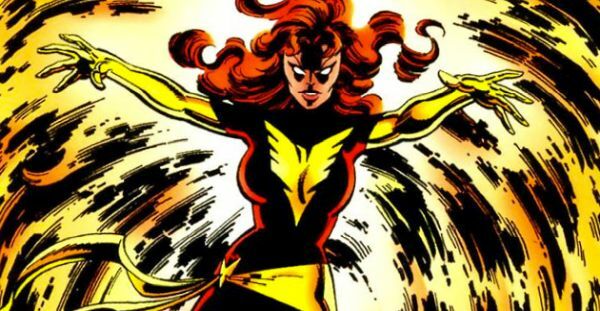 Fans are very nervous about the movies take on the "Dark Phoenix" saga which saw the telepathic superhero Jean Grey turn evil. 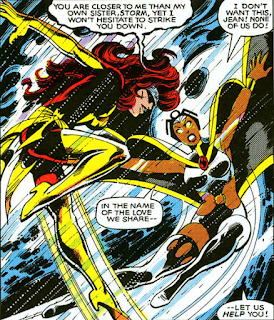 The story arc ran thru The X-Men #129–138 (1980) written by Chris Claremont with art by Dave Cockrum and John Byrne. After Jean Grey is exposed to deadly radiation from a solar flare, her telepathic and telekinetic reach their full potential. She becomes a being of pure thought, and returns to Earth with a new costume, identity and power of "Phoenix". The team is forced to fight her dark side. The last movie to deal with the sweeping story line was X-Men: Last Stand which was controversial and disliked even by the screenwriter Simon Kinberg. In X-Men: Apocalypse during the final battle against Apocalypse, Jean (Sophie Turner) unleashes her full powers and is surrounded by an aura of flames in the shape of a phoenix. Shipp says we don’t need to worry. "As a fan of X-Men, you are going to be very happy," she says, "because I’m a huge fan of X-Men and so is our director, Simon [Kinberg], who’s also writing and executive producing it. He is not letting anything go. It’s very accurate to the comics and he really gives the fans what they’ve been asking for, in my opinion. All I can say is that you’re really going to like it." They also asked her some questions about her role in Dark Phoenix. Will we see more of her? Will she still have a Mohawk? "If I ever want to do another X-Men movie in the future I can’t tell you sh*t." she said laughing. We'll find out next year, but it's good to know the team's aware the fans have high expectations. What do you think of Shipp's comments? Will we like the next X-Men movie? I never read those comics so I wouldn't know how accurate it is. I'll be rooting for them to kill Sophie Turner though.